The Single Week designed by us at Italy Gay Travels is the trip all the singles have been waiting for! Don’t you just hate going on a trip where half the people are loved up and you are left looking on? We say no more, we here at Italy Gay Travels have created an amazing Luxury Gay Foodies Tour in Puglia only for singles. Yes sorry couples, you will have to join another tour. Save the date and book now: 20-26 October 2019! This amazing single week costs only €1490. And it is all inclusive! 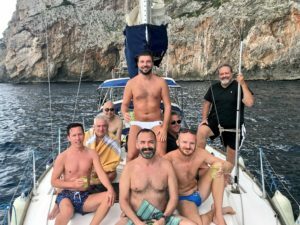 This will be the perfect opportunity to discover Puglia with other like-minded single gay people from around the globe. Learning to cook like a local; Gastronomy meals from the best parts of the region; Visits to local markets; Wine tasting and olive oil degustation; Visits to key sights of Puglia, including Lecce, Nardo’ and Santa Maria di Leuca! Meet new friends (and maybe the love of your life?) from all over the world while staying in luxury accommodation in a private villa, just for us! Book now to secure this sensational price! Spots are limited!